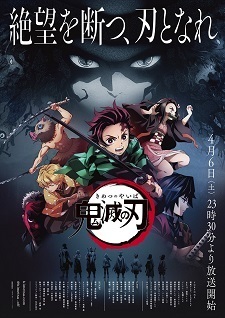 Eleven additional cast members were announced for Kimetsu no Yaiba TV anime during the world premiere screening of Kimetsu no Yaiba: Kyoudai no Kizuna on Tuesday. The anime will air on Saturdays at 11:30 p.m. via Tokyo MX, Gunma TV, Tochigi TV, BS11, followed by Yomiuri TV, Me~TV, Sapporo TV, Fukuoka Housou, Miyagi TV, Fukushima Chuuou TV, Niigata TV, Nagano Asahi Housou, Shizuoka Housou, Okayama Housou, Hiroshima TV, Shikoku Housou, TV Ehime, Kouchi Sansan TV, Kumamoto Housou, and Nagasaki International TV starting April 6. AbemaTV also will stream the anime. LiSA will perform the theme song. Another song from LiSA hooray! @gadboyz it does not indicate which theme song will LiSA perform (official site only says theme song), though. It is early to say LiSA will perform OP. I'm so hyped for this one! It seems and looks awesome. Can't wait any longer! As days get closer, I'm really feelin the excitement.